We find many of our clients are concerned with making their wishes known in the event of incapacitation or death. Such concerns must be addressed through the drafting of wills and/or trusts in order to be binding. 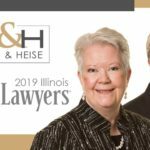 If you are concerned about your wishes being honored in the event of your incapacitation or death, contact a Barrington estate planning attorney at Bush & Heise by calling 1-847-382-45609 to schedule a free initial consultation and see how an estate planning attorney at our firm may assist in your situation. 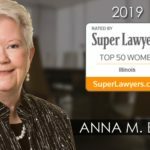 Our Estate Planning Attorneys have been assisting clients throughout Cook, lake and McHenry counties with wills, trusts, guardianships and other matters of estate planning since 1977. Our Illinois estate planning law firm also handles matters of probate and estate manangement where the wishes of a party have not been explicitly stated through methods of estate planning.